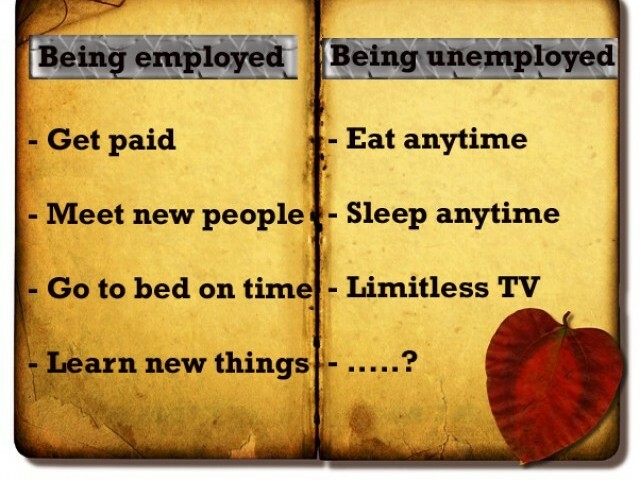 Is being unemployed better than being employed? My life has taken a 360 degree turn and I am still grappling with huge adjustments – adjustments like the fact that I cannot stay logged onto Facebook incessantly or the centre of the universe for me is no longer my mood. After aeons of freelance work, where I could shuffle and manage work according to my own whims and desires, I am now working full-time. Regular eight hours a day, six days a week. Strangely enough, I am surviving. Not only am I surviving, the fact that my body clock had to re-start to a new schedule, I now find myself dosing off at midnight as opposed to my routine of staying awake till three am, watching re-runs of Ishq-e-Mamnoo, I am also surviving social attacks. In the last one week since I have joined the grind, an easy three to four aunties have come up and exclaimed with strange mix of expressions ranging between remorse and shock that I will be ‘neglecting my daughter’ and most importantly, ‘who will cook?’. I would love to retort with something spritely, witty and maybe even half-nasty, but then the ‘this too shall pass’ mode sets in. I bite my lip and fight the impulse to say ‘what’s it to you?’ and instead move on to plan what I will use as a filling for my sandwich for work the next day – cheese and tomato or roast beef? Which reminds me of what else has changed. At work, now, I cannot heat and re-heat my big mug of chai three times and I can’t drift to the fridge every now and then. There is a time for everything. Not that there is a regimental routine which says dopeher ka khana teen baj kar paanch minute par (lunch will be served at 3:05pm sharp). But yeah, yesterday I went to the cafeteria thrice at odd times in hopes of a snack, but those were ‘off times’. So I have to plan my cravings a bit more carefully. As a people’s person, a huge advantage in having a work life is the interaction with different people. The nod of the guard and the salam of the chai wala canteen boy. The animated discussions in the newsroom where people are fighting over whether CNG prices will go up or down and what the future looks like for Sri Devi after English Vinglish. The brain stimulus is worth leaving the bed in the morning. Inspirations and energies are infectious things. You catch them, literally, from each other; you use each other’s energy and also give off some. Besides, interaction teaches you so much! Like what’s in when it comes to clothes and which is the newest café to go to etcetera. I am working among energetic, charged and very ‘cool’ young adults who are teaching me a lot about life unknowingly. As a freelancer, I was on my own. My faults were my own as were my accolades including lacking a back-up plan, a support system, a fall back. If my ‘mood’ or writer’s block caught me off guard, no one could coerce me into writing. But now I must do my share of work. Whether I want to or not. But when you are part of a team, just like a family support system, your team backs you up. Division of labour, if done with egos set aside, can result in an increase in both the volume and quality of work. Freelancing, of course, had its own perks. As a freelance writer, I had to have no loyalties. I was my own master. Free love for all publication houses. But now, it’s like being in a sustained, committed relationship – a pain and annoying at times. The electronic scanner in front of which I swipe my attendance card is an invisible chaperone asking me when I come and when I go. And that’s just like a relationship, isn’t it? But at the end of the day, I am a sustained relationship person. You see, in freelance work, the comfort cushion of a regular pay cheque sorely lacks. Also, exactly like a commitment, this has certain social perks. A certain taika as they call it in Punjabi. You tell people your organisation’s name and your status and voila! They take you more seriously! A certain respect. And a fall back plan for rainy days, for tough times. But writers are moody people, and are proudly eccentric. Their feelings evolve and fluctuate. So I don’t know how the future will be. Will the lure of ‘freedom’ and the thrill and excitement of a ‘no strings attached’ work space pull me back? Or will I choose to stay in a ‘committed relationship’ – answerable and taken. This only time will tell. 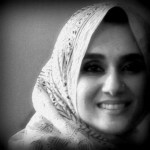 http://syedaabidabokhari.wordpress.com/ The Only Normal Person Here. Haha, forget the aunties! A good read. Keep it up missy!